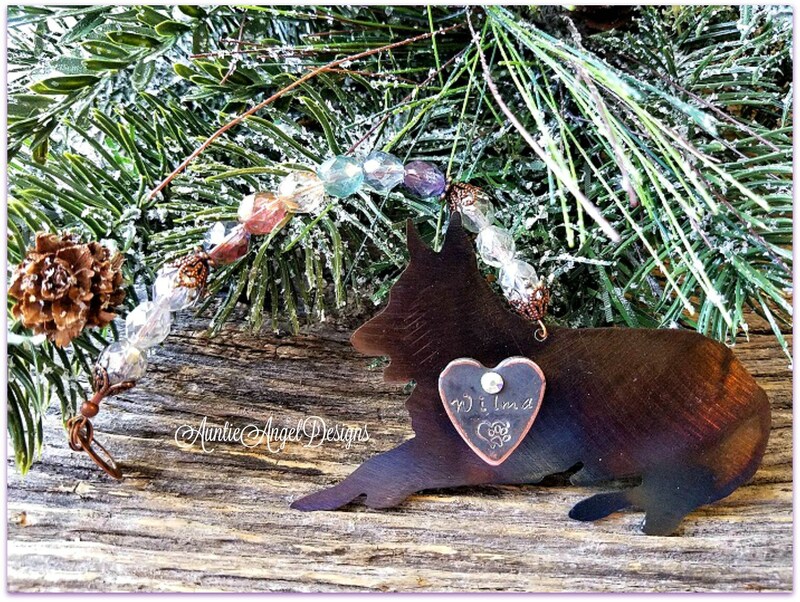 A unique and exclusive beaded German shepherd ornament by Auntie Angel Designs for a great year-round pet sympathy gift. 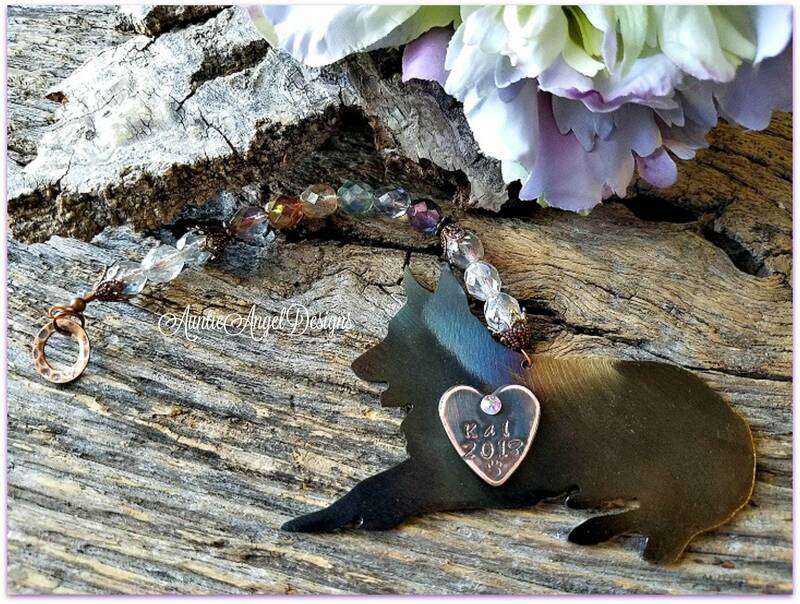 This gorgeous, yet simple Rainbow Bridge-inspired memorial gift is meant to remind you always of your precious German shepherd at the Rainbow Bridge, knowing one day you will be reunited. Each 18-gauge metal German shepherd cutout is approximately 3-1/2" wide by 2-1/4" tall with the thickness of about a quarter. The heat-treated metal dog cutout dangles from a strand of crystal-faceted beads in the colors of the rainbow. The beads are in a luster finish and are quite beautiful. Each piece is strung on flexible wire and finished with fine filigree antiqued copper bead caps and bright silver gothic-style bead caps. This ornament's total beaded length including the metal German shepherd is approximately 7" long. The personalized stamped heart charm is glued to the metal and a genuine Swarovski crystal adds interest. Please note that each heat-treated metal finish ornament is unique. 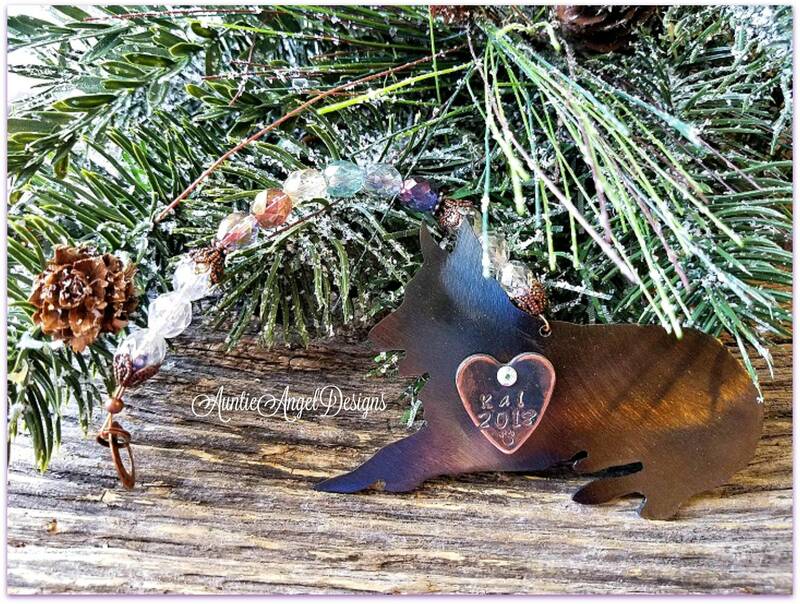 For an additional charge, I can personalize your ornament with the furbaby's name stamped horizontally on a rustic patinaed copper heart charm. Only 7 characters maximum going across the widest part of the heart can be stamped. Note that this copper heart is NOT a perfect match to the ornament, but it is a nice complement to it. The patina effect will vary also from charm to charm. 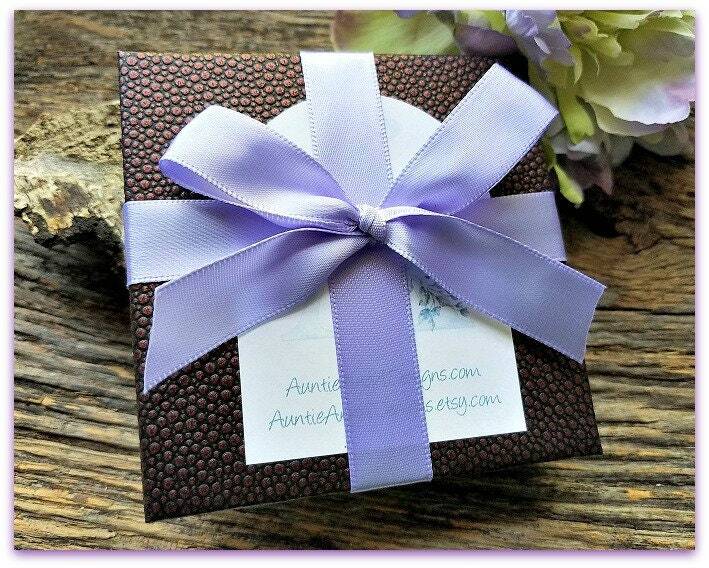 As each letter is hand-stamped by me, letter by letter, alignment and spacing may, and most likely will, be slightly off, which is the beauty of a custom hand-stamped piece. The name will NOT look like it has been engraved by a machine. 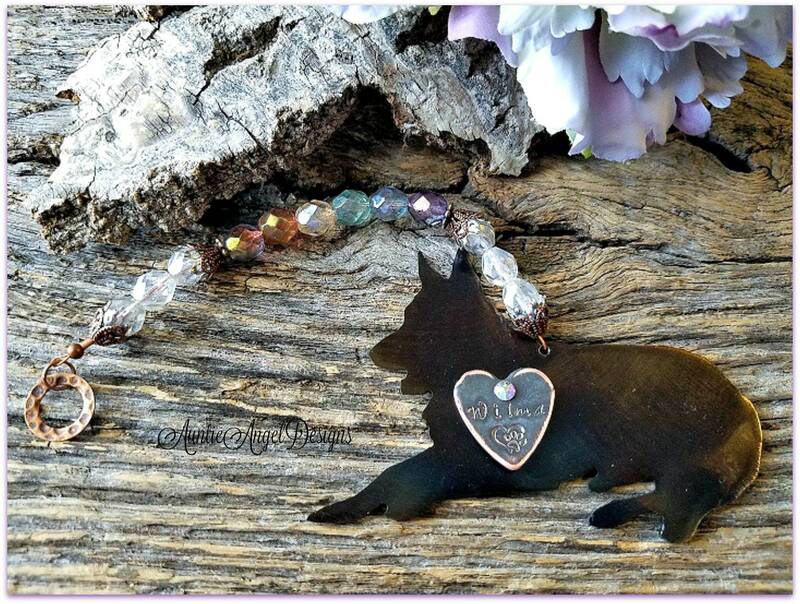 I finish the heart charm with a sweet open heart with paw print stamping. Note: "Ornament (NO NAME)" means there will be no stamped heart charm or personalization of any kind on the ornament. The body of the German shepherd will be plain rusted metal. 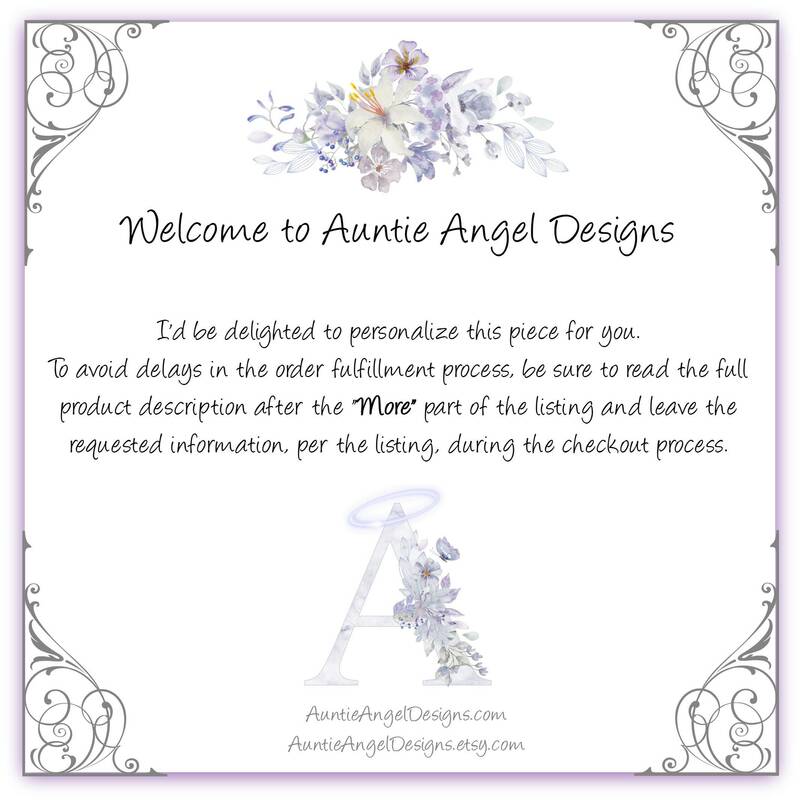 * * * * * IF PAYING FOR PERSONALIZATION, CHOOSE THE SECOND SELECTION IN THE DROP-DOWN MENU AND PLEASE LEAVE YOUR DOG'S NAME IN THE OPTIONAL NOTE TO SELLER BOX DURING THE CHECKOUT PROCESS IF NOT PROMPTED BY ETSY TO DO SO. * * * * * CHOOSE "Orientation," for personalized ornament, meaning dog's head (and heart charm) will be facing left or facing right. 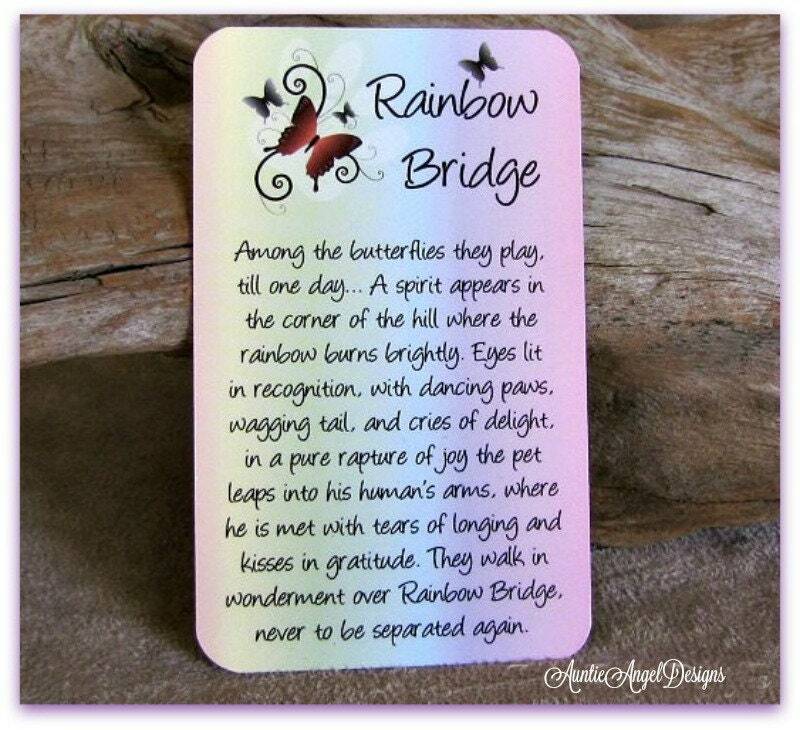 With a heavy heart I decided to purchase this keepsake for my gsd that passed away. When I received it, it was made so beautifully and came quickly. I’m glad I purchased this in memory of my sweet Kal. Thank you so much for making this for me. I will cherish this piece forever!